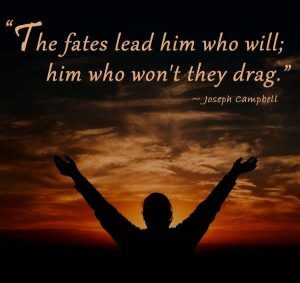 Joseph Campbell did a lot of research into the stories, myths and fairy tales people have been telling each other from generation to generation and that inspire us to this day. He looked at many different cultures and came to the conclusion that underlying all these stories, from all these various cultures and backgrounds there can be distilled one pattern, one blueprint, one archetypal story that underlies all these stories. He explains and illustrates this in his book – The Hero with A Thousand Faces. 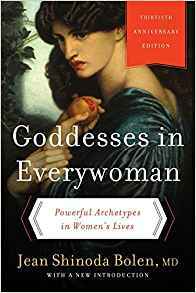 He shows how stories, myths and fairy tales from all kinds of cultural and religious backgrounds follow this one underlying blueprint. Now what is really interesting is that this archetypal story he distilled can actually serve as a blueprint for our own lives as well. 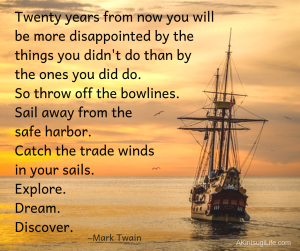 We go through many of these same stages of the Hero’s Journey and making yourself familiar with this blueprint can really help you make sense of your own journey in life. In the model here, one cycle in the hero’s journey goes through 12 different stages. 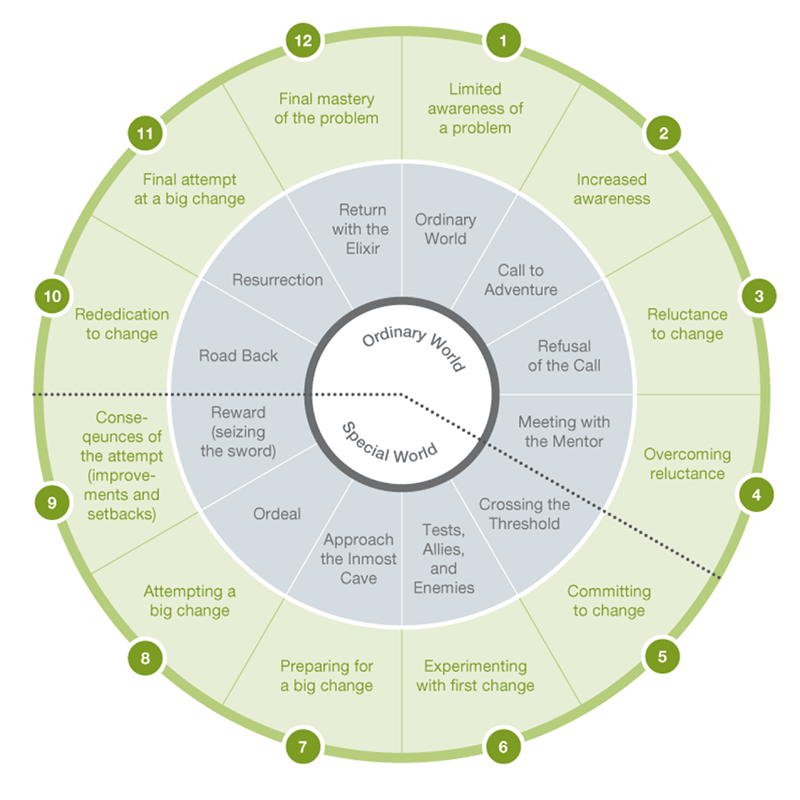 The inner cycle represents the more classical hero’s journey as described by Campbell, the outer cycle follows the idea of meeting obstacles/problems in life and how to journey through life and go about facing and mastering them. 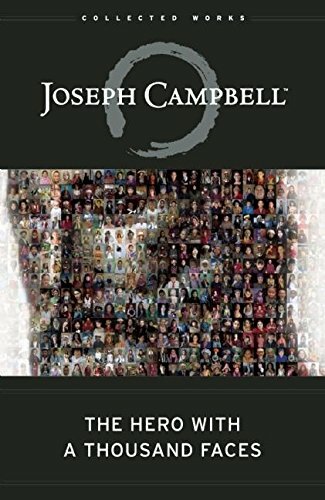 I would recommend reading the book of Joseph Campbell himself or one or more books that have been inspired by his work. But just to give a bit of an idea a short explanation is given for each of the 12 steps from the model above. Source for these 12 steps is Movie Outline. This is where the Hero’s exists before his present story begins, oblivious of the adventures to come. It’s his safe place. His everyday life where we learn crucial details about our Hero, his true nature, capabilities and outlook on life. This anchors the Hero as a human, just like you and me, and makes it easier for us to identify with him and hence later, empathize with his plight. The Hero’s adventure begins when he receives a call to action, such as a direct threat to his safety, his family, his way of life or to the peace of the community in which he lives. It may not be as dramatic as a gunshot, but simply a phone call or conversation but whatever the call is, and however it manifests itself, it ultimately disrupts the comfort of the Hero’s Ordinary World and presents a challenge or quest that must be undertaken. The Hero is now ready to act upon his call to adventure and truly begin his quest, whether it be physical, spiritual or emotional. He may go willingly or he may be pushed, but either way he finally crosses the threshold between the world he is familiar with and that which he is not. It may be leaving home for the first time in his life or just doing something he has always been scared to do. However the threshold presents itself, this action signifies the Hero’s commitment to his journey and whatever it may have in store for him. Now finally out of his comfort zone the Hero is confronted with an ever more difficult series of challenges that test him in a variety of ways. 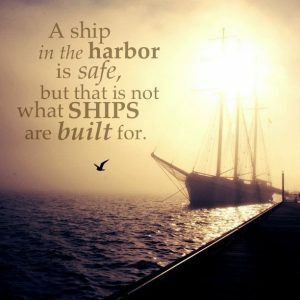 Obstacles are thrown across his path; whether they be physical hurdles or people bent on thwarting his progress, the Hero must overcome each challenge he is presented with on the journey towards his ultimate goal. The Hero needs to find out who can be trusted and who can’t. He may earn allies and meet enemies who will, each in their own way, help prepare him for the greater ordeals yet to come. This is the stage where his skills and/or powers are tested and every obstacle that he faces helps us gain a deeper insight into his character and ultimately identify with him even more. The inmost cave may represent many things in the Hero’s story such as an actual location in which lies a terrible danger or an inner conflict which up until now the Hero has not had to face. As the Hero approaches the cave he must make final preparations before taking that final leap into the great unknown. The Supreme Ordeal may be a dangerous physical test or a deep inner crisis that the Hero must face in order to survive or for the world in which the Hero lives to continue to exist. Whether it be facing his greatest fear or most deadly foe, the Hero must draw upon all of his skills and his experiences gathered upon the path to the inmost cave in order to overcome his most difficult challenge. Only through some form of “death” can the Hero be reborn, experiencing a metaphorical resurrection that somehow grants him greater power or insight necessary in order to fulfill his destiny or reach his journey’s end. This is the high-point of the Hero’s story and where everything he holds dear is put on the line. If he fails, he will either die or life as he knows it will never be the same again. This stage in the Hero’s journey represents a reverse echo of the Call to Adventure in which the Hero had to cross the first threshold. Now he must return home with his reward but this time the anticipation of danger is replaced with that of acclaim and perhaps vindication, absolution or even exoneration. But the Hero’s journey is not yet over and he may still need one last push back into the Ordinary World. The moment before the Hero finally commits to the last stage of his journey may be a moment in which he must choose between his own personal objective and that of a Higher Cause. This is the climax in which the Hero must have his final and most dangerous encounter with death. The final battle also represents something far greater than the Hero’s own existence with its outcome having far-reaching consequences to his Ordinary World and the lives of those he left behind. If he fails, others will suffer and this not only places more weight upon his shoulders but in a movie, grips the audience so that they too feel part of the conflict and share the Hero’s hopes, fears and trepidation. Ultimately the Hero will succeed, destroy his (inner) enemy and emerge from battle cleansed and reborn. This is the final stage of the Hero’s journey in which he returns home to his Ordinary World a changed man. He will have grown as a person, learned many things, faced many terrible dangers and even death but now looks forward to the start of a new life. His return may bring fresh hope to those he left behind, a direct solution to their problems or perhaps a new perspective for everyone to consider. The final reward that he obtains may be literal or metaphoric. It could be a cause for celebration, self-realization or an end to strife, but whatever it is it represents three things: change, success and proof of his journey. The return home also signals the need for resolution for the story’s other key players. The Hero’s doubters will be ostracized, his enemies punished and his allies rewarded. Ultimately the Hero will return to where he started but things will clearly never be the same again. We can see our own life as a part of this cycle, a whole cycle or even several cycles of this blueprint laid out by the hero’s journey. 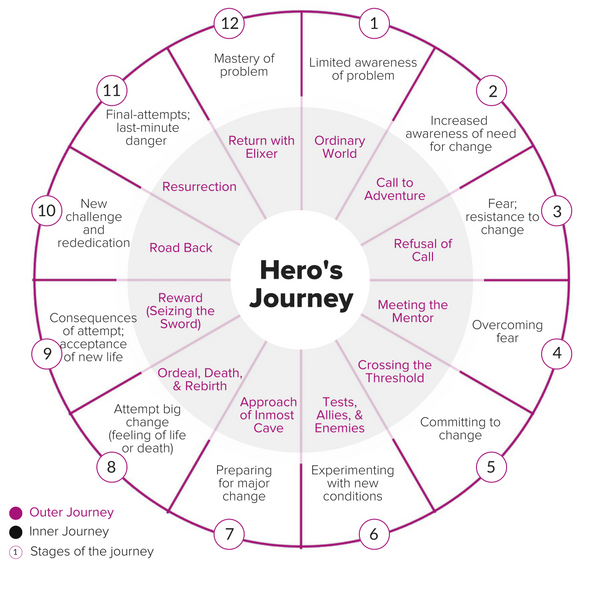 Understanding the hero’s journey and looking at archetypes can really help us clarify where we are in life and what patterns we are following ourselves. Understanding these patterns and seeing that there is one blueprint with many variations upon it can give us both the structure and freedom to adjust our own life in a way that feels more authentic for us. 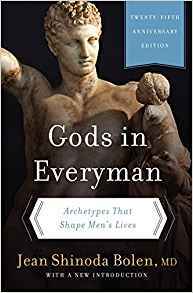 All in all, understanding The Hero’s Journey and understanding the power of archetypes is of great service to ourselves in living our lives in an authentic, meaningful and joyous way. There is some good information about this available on YouTube as well.